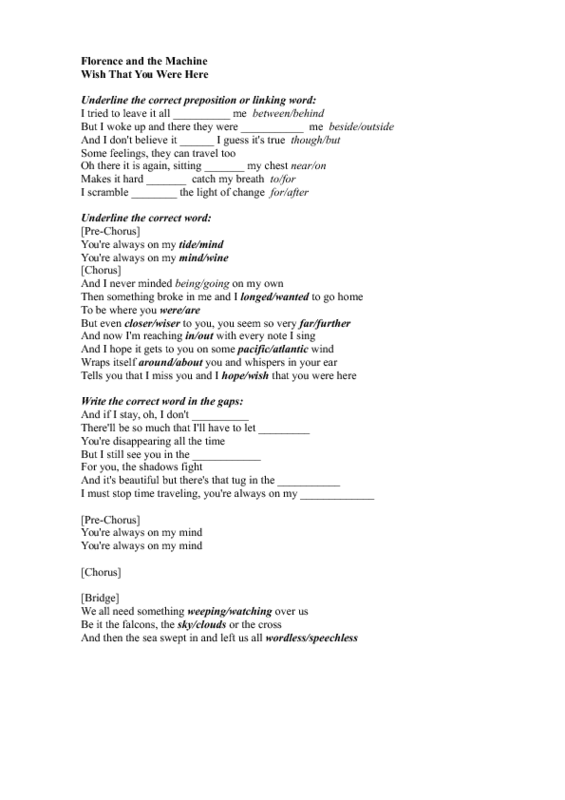 A song worksheet designed for intermediate and upper-intermediate level students who liked the movie "Miss Peregrine's Home for Peculiar Children". The song has a deep essential meaning especially when speaking about feelings. A simple fill-in the gaps task.